After going overboard at the local markets and buying 3 large punnets of strawberries I had to find another way to use them up. I used a recipe for strawberry cheesecake cupcakes from The Hummingbird Bakery Cookbook and modified it slightly to make the cupcake bases. 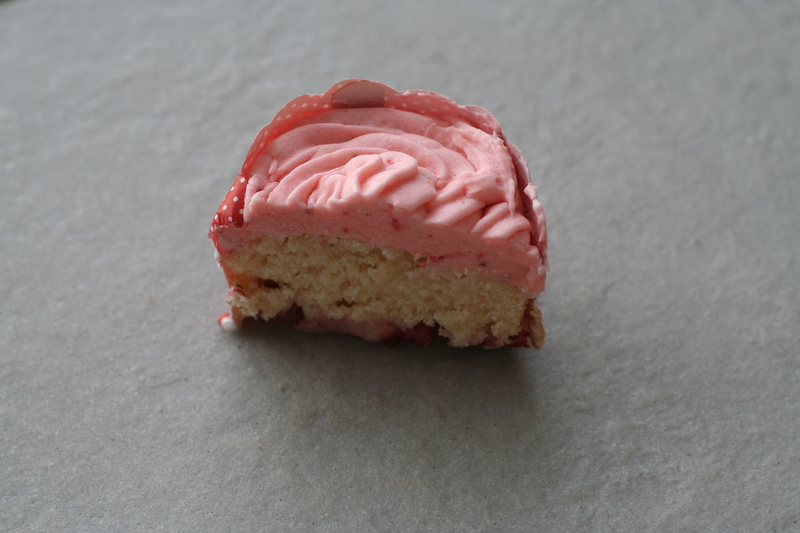 Instead of pairing it with a cream cheese frosting I used a sweet strawberry one. The cupcakes are soft and crumbly with a mild strawberry flavour which pairs well with the stronger taste of strawberry in the frosting. There are a couple of modifications I would make next time around though. The frosting is very sweet and I feel would be better with less sugar. The chopped strawberries are delicious and moist but are very difficult to eat on the bottom of the cupcakes, however they would be perfect on top of the cake batter (but under the frosting). Preheat the oven to 180°. Prepare 12 cupcake cases. Mix the flour, sugar, salt, baking powder and butter on low speed until you get a sandy consistency. Add the milk and vanilla and mix at medium speed until all combined, scraping down the bowl as necessary. Add the egg and strawberry extract and beat well for a few minutes. 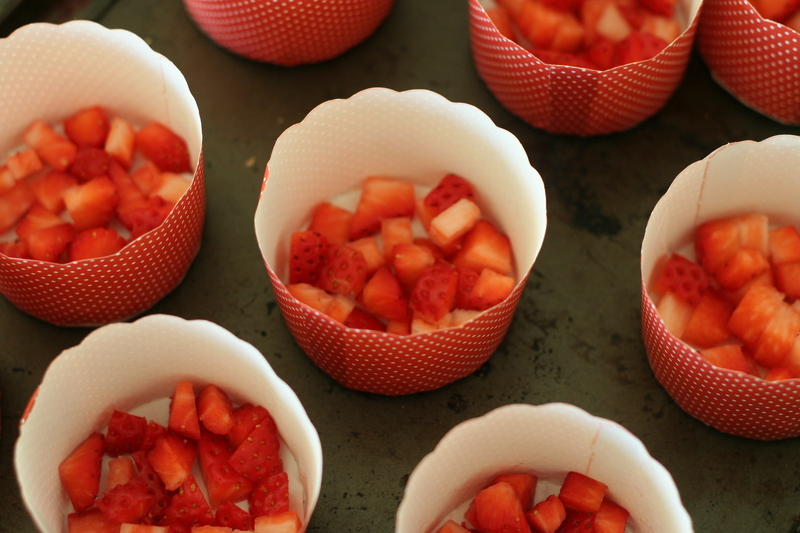 Chop the strawberries into small pieces as place in the bottom of each cupcake case. 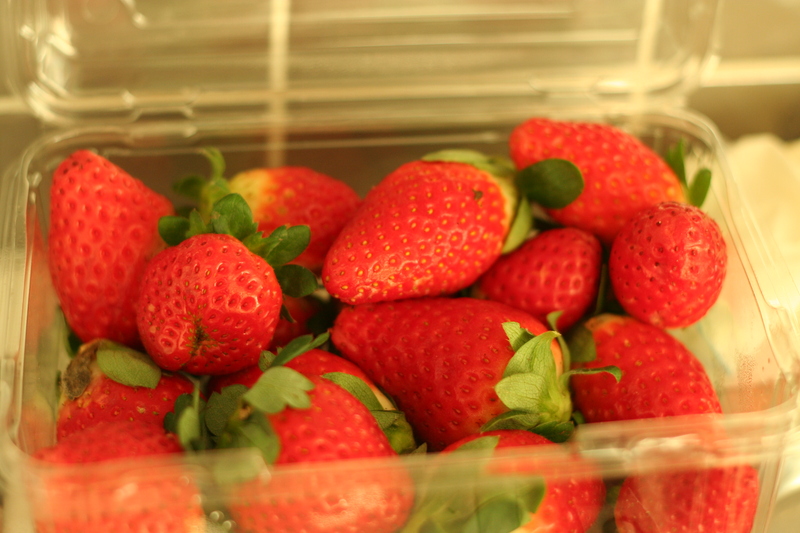 Spoon the batter over the strawberries until two-thirds full. Bake for 20-25 minutes or until a skewer inserted in the centre comes out clean. In a small saucepan heat the strawberry puree on medium heat until it reduces by half. Add the vanilla and strawberry extracts. Set aside to cool. Cream the butter and sugar on medium speed until light and fluffy. Continue to mix, adding the puree slowly, a small amount at a time, until you get a thick spreadable frosting. Pipe onto cooled cupcakes and decorate as desired. 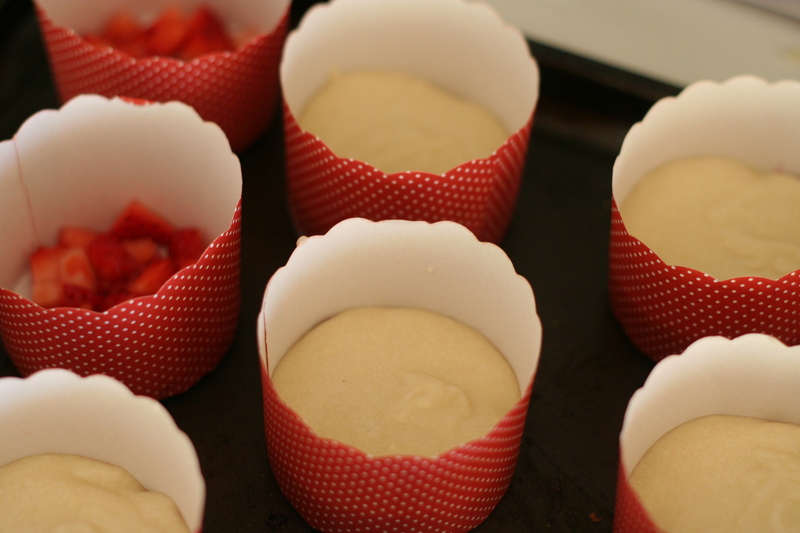 Wow Lisa these strawberry cupcakes look yummy and the gorgeous cupcake cases ,just love the way you show the step by step into making them . Thank you for visiting and commenting on my blog! 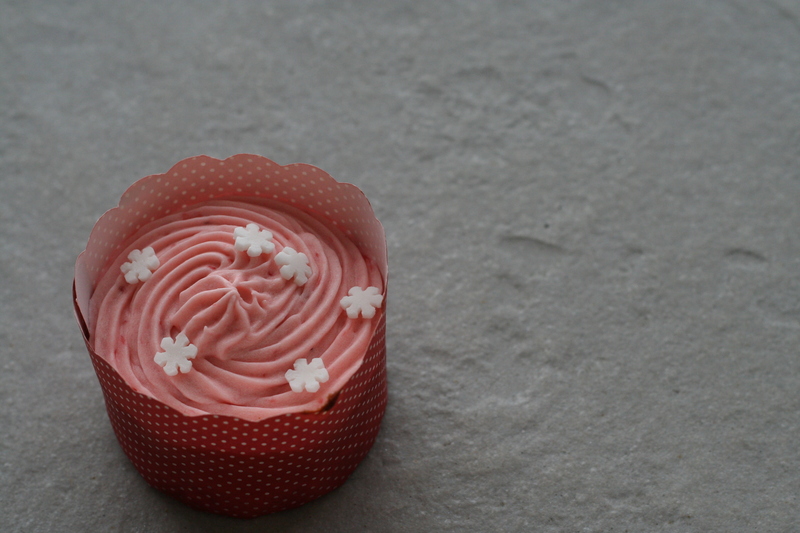 These cupcakes look lovely – remind me of a strawberry cake I like to make a lot! These are great recipes and I’ll have to check out your blog more often.